Along with the other divisions of the recently acquired Kaydon Corporation, Cooper Roller Bearings is a newcomer to the SKF Group. Interestingly, it shares some key characteristics with its new parent company. With the addition of Cooper Bearings, the SKF Group extends its range of bearing products and expertise. Both companies share a long history in bearing design. Additionally, Cooper will strengthen SKF’s business in the marine propulsion market. 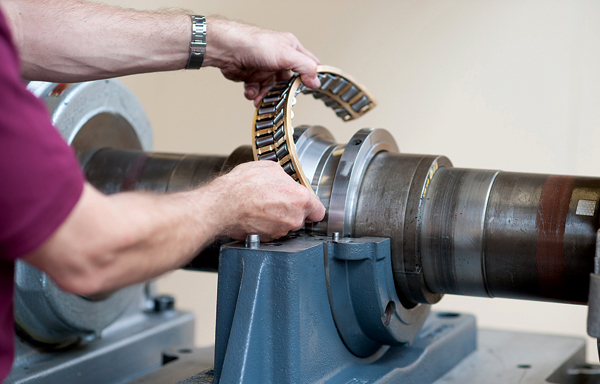 Despite their differences in size, SKF and Cooper Bearings are similar in important ways. Both have a strong brand identity, are global in reach and representation and are steeped in a tradition of innovation. And they share similar histories. Both companies were founded by engineers possessed of the entrepreneurial spirit that characterized the first decades of the 20th century and whose common quest for innovation led them to patent numerous designs. By coincidence, 1907, the year Thomas Cooper patented the world’s first split rolling element bearing, was the same year in which Sven Wingquist founded SKF. 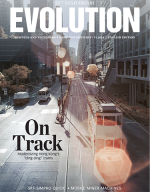 This fundamental facet of continuing innovation continues to link both companies. Indeed, Cooper joins the SKF Group at a particularly fruitful time, having introduced two new bearing types onto the market in the past 10 years. In both cases these have been the result of a strategy of segmental focus on marine propulsion applications. Years of experience and dialogue with fixed and variable pitch propeller, coupling and shaft manufacturers, as well as design houses, shipyards and ship owners, have enabled Cooper design and service engineers to identify, monitor and respond to changing demands and burgeoning trends within the industry. As a result, Cooper has been able to both expand and enhance its range of products (fig. 4). 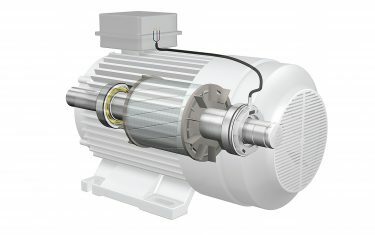 The Cooper niche brand is uniquely suited to a variety of applications and industries where SKF standard product ranges may not have been suitable. 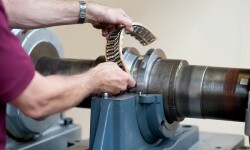 The Cooper split roller bearing (fig. 1) eliminates the need to dismount ancillary equipment. 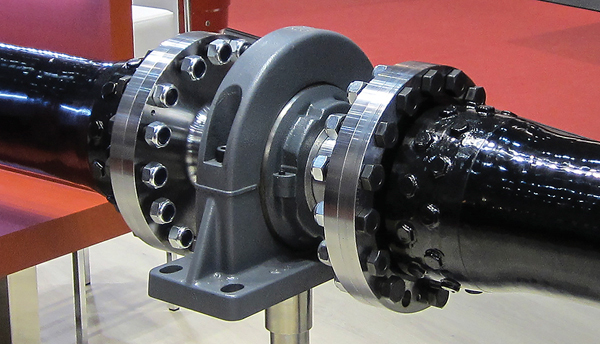 Thus, the advantages of the bearing in terms of downtime and ease of maintenance and replacement are appreciated across a range of industrial segments. 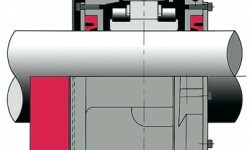 When used in conjunction with SKF Vibracon shaft alignment, the ease of maintenance and replacement is magnified (fig. 6). 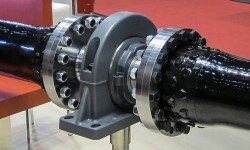 The marine segment in particu­lar has increasingly seen the use of the split roller bearing to support propeller drive shafts as the cost-effective, environmentally friendly alternative to split hydrodynamic or sleeve bearings, eliminating both the need for complex oil circulation systems and the problem of oil leakage. Moreover, as the bearing and the housing are separable designs, the bearing can be removed, repaired and replaced without removing the driveshaft. Downtime is unacceptable in all businesses and especially on a vessel at sea. Years of focus on the segment have also imbued Cooper with an awareness of particular problems and customer requirements, prompting the ongoing introduction of an array of incremental innovations to the standard product (fig. 1). These customizations encompass modifications to the standard design of the bearing itself as well as to its housing. 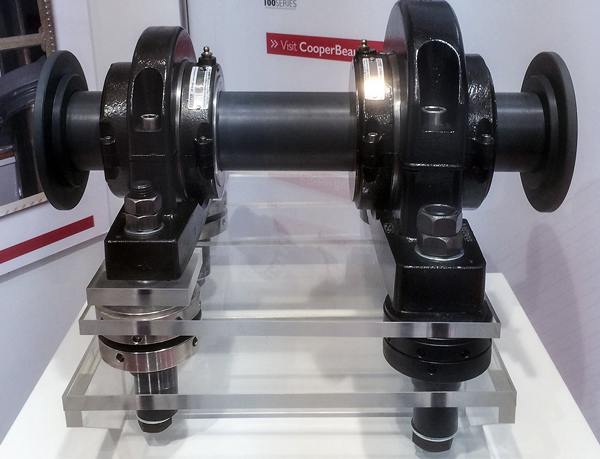 In terms of the bearing housing, as a vertically integrated company, Cooper has an on-site foundry in its UK-based manufacturing plant. 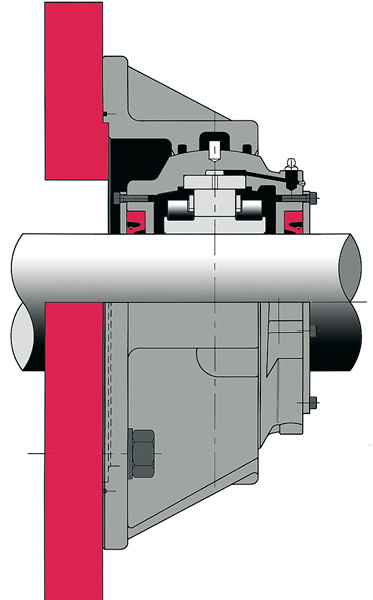 As a result, housings can be customized to include features such as inspection and lubrication holes and can be produced in a variety of materials from the standard grade grey cast iron to aluminium when the demand for higher speed from vessels such as fast ferries and coastguard patrol vessels requires less total weight. This commitment from Cooper to enhance the existing product range to meet individual requirements is illustrated by the use of a combined flange housing and split roller bearing (fig. 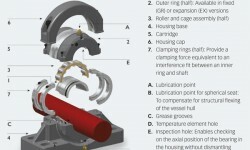 2) to comply with the same function as expensive bulkhead gland-type seals. The close proximity of the bearing and seals avoids problems associated with poor shaft-seal alignment when the bulkhead seal is separated from the bearing. 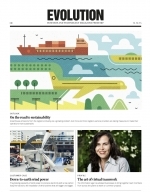 Market demands for lighter and faster vessels continue to drive the use of carbon as opposed to metal shafts for an increasing range of vessel types. One result of the use of carbon as shaft material is the dramatic reduction in the shaft weight and consequently the radial bearing loads. Very light bearing loads can cause specific problems, especially sliding of the rollers, which can lead to adhesive wear on the rolling surfaces, resulting in premature failure (see Evolution #3 – 2011). To counter this problem, Cooper designed a lighter series of bearings based on traditional cylindrical roller bearing technology. The 100 series (figs. 3 and 4) conserves the key advantages of a split bearing in terms of maintenance and downtime of the other series in the Cooper range, but within a smaller envelope, and is equipped with a lightweight polyamide cage. The cage itself is manufactured from polyamide 4.6, due to its superiority over the widely used polyamide 6.6 in terms of improved temperature characteristics and resistance to EP additives in lubricants. An added advantage of the smaller envelope is a significant reduction in cost when compared with heavier series of bearings. 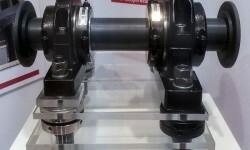 A radical innovation (as opposed to the aforementioned incremental innovations) in the field of split rolling element bearings, the Cooper range of split double-row tapered roller bearings (fig. 5) was developed over the past decade as a direct result of demands from marine propulsion manufacturers and fleet owners. Specifically, the development responded to concerns about intermittent increases in transient axial loading along marine shafts. 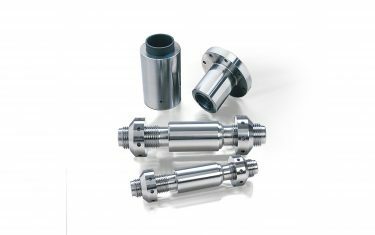 These may have many causes, including temperature gradients, hull flexing and reactions in couplings, but in all cases they are a result of the tendency of the industry to run increased power through a given shaft size. As a result, Cooper has designed and developed the world’s first commercially available fully split double-row tapered roller bearing. Designed to take axial loads in either direction, the two rows of tapered rollers are arranged in a “back to back” configuration with a contact angle of approximately 15 degrees. As such the bearing is capable of accommodating any ratio of radial to axial load. When supplied in conjunction with split expansion-type cylindrical roller bearings, this package represents an excellent combination for an array of machine propulsion conditions (fig. 6). 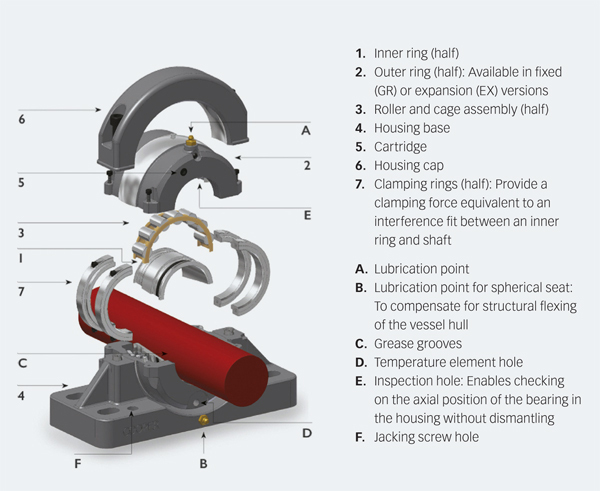 Alongside SKF condition monitoring, hydrodynamic bearing and shaft alignment products, Cooper Roller Bearings’ range is an important addition to the growing SKF portfolio of complete solutions for the marine segment (fig. 6). In the sphere of propulsion technology, customers can now specify the traditional SKF rolling element bearing solutions as well both the hydrodynamic bearing solutions provided by BVI hydro-dynamic bearings and split rolling element bearing alternatives from Cooper. This means customers have three times the experience, reliability and engineering know-how at their disposal, all from a single supplier – SKF. Bearing series: The current offering is the broadest on the market and caters to a wide range of loading conditions. 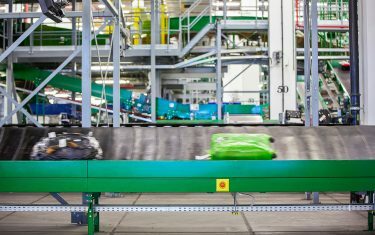 100 series: Compact and light, the 100 series packs a high load-carrying capacity into a small envelope and is specifically designed for applications where the radial load can be too light for other bearing series. 01 series: The most popular of all the bearing series, these robust units can accommodate the majority of load and speed conditions encountered with propulsion shafts. 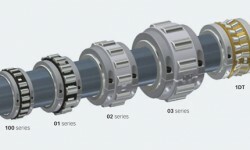 02 series: A rugged bearing for demanding applications, the 02 series is frequently found in “locating” bearing positions and on heavier shafting. 03 series: Designed to accommodate extreme heavy-load conditions present on vessels such as icebreakers, the 03 series is the heavyweight of the Cooper range of cylindrical roller bearings. 1DT: Unique to Cooper, these medium angle split tapered roller bearings are an excellent solution for transient axial loading caused by temperature gradients, hull movement or reactions in couplings. The two rows of rollers in a back-to-back position can accommodate axial loads from either direction in addition to radial loads.